The Ethiopian National Football Team will face Kenya’s National Football Team in a 2019 Africa Cup of Nations qualifier match on Wednesday, October, 10, 2018. The match will be held in the 60,000-seater Bahir Dar Stadium, about 550 kilometers to the North of the capital Addis Ababa. 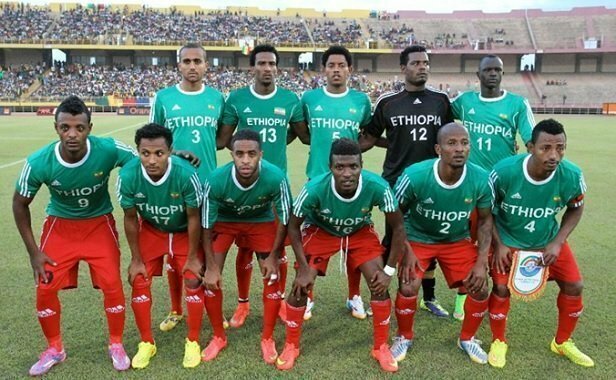 The Ethiopian National Football Team lineup has been announced ahead of the match with Harambee Stars. “It is definitely going to be a very tough match but we are determined to beat Kenya at home since that will help us in the second leg match away in Nairobi.I have told my players nothing is impossible as long as they will give 100 percent ” said Abraham Mebratu,Ethiopia Walia Ibex coach. Kenya versus Ethiopia Wednesday’s Africa Cup of Nations first-leg qualifier will be beamed live on SuperSport, according to Goal.com. The clash that will kick off at 4.00 PM local time will be beamed live from Bahir Dar stadium in Ethiopia on SuperSport 9. The Walias are in Group F alongside Kenya, Ghana, and Sierra Leone.